If you look at my last post (a little more than a year old), you'll see my reluctant consideration of playing D&D 4e. A huge portion of that was hung on the availability of the online tool as well as the general game system itself. Well, I've not switched to 4e, and the online game table has yet to be released; in fact, Wizards of the Coast has postponed it indefinitely. 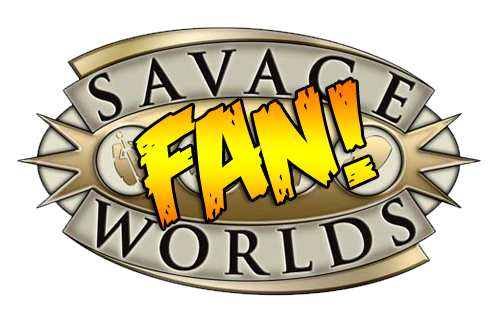 I have, however, switched to Savage Worlds and for several reasons. The rules are fast and easy to learn and play (not to be mistaken for a "rules light" system). It uses a K.I.S.S. approach to creating or adopting rules for just about any genre or setting. It's affordable with a price tag of $10 for a single core rulebook that has everything you need. It requires far less preperation time than any version of D&D. All of this is by design. According to podcast interviews and other postings and articles, the design of the game was intended for older gamers with busy lives (i.e. - full-time jobs, families, etc.). As you know by my last post way back in May, that fits me pretty well. First, I tried running a v3.5 game for my cousin and some friends of ours. It was fun, but we were all pretty busy people. They had a hard time digging into the rules just for managing their characters alone. That was one strike against the game. We also had a hard time coordinating our schedules, but that's not any flaw of the system and isn't really a reason for dropping D&D v3.5 as a system. It was a bit of a catalyst for taking a break from the game in general. Then another member of the RPTools community was offering to run a Savage Worlds demo game using MapTool. I decided to try it out and asked if I could jump in. Prior to the game I downloaded a copy of the Savage Worlds Test Drive Rules and I liked what I read. I immediately ordered a copy of the book from Amazon. I received my copy on the same night as the demo, and eagerly began reading it (after having dinner with my wife). I hopped online in time for the game to start and began playing. I had a lot of fun. Before I knew it, I was pretty much running my character with at least the basics of the game well understood. Surprisingly, the Test Drive Rules really helped with getting the basics down before even getting my hands on the complete rules. A casual player could honestly get away with just having the Test Drive Rules. Well, here's where my life changed. Around 11-11:30 p.m. we're at a point in the game where my character, an overconfident rogue, was surrounded by zombies in the middle of a forgotten sub-city crypt with the rest of the party trying to save my hide. Then my wife calls me from the bedroom. "I think my contractions are getting closer." "What?! Seriously? Are you sure?" Her due date was two days away. It wasn't improbable for her to be going into labor. So needless to say, my gaming stopped for the next 3 months. I shelved my copy of the Savage Worlds: Explorer's Edition as well as all of my D&D books and spent my time and energy on being a father and husband. Around November of 2008 I decided to read over my copy of the Savage Worlds: Explorer's Edition and start up a game of my own. First I tried converting Eberron to Savage Worlds. I had a lot of success with it as it was pretty easy, but decided to put it on pause after most of the initial work was done. (I still need to flesh out dragonmark powers with trappings). The process helped me to exercise the concept of focusing on the feel of the setting rather than literal rules interpretations from D&D to Savage Worlds. When working with Savage Worlds conversions don't ever try to convert the system; rather let the Savage Worlds rules do the work for you. The rules are flexible enough to allow for just about any concept. Example: Artificers in Eberron can be handled with the Arcane Background (Weird Science) Edge, the Gadgeteer Edge, and the Relic Creation Edges from the Fantasy Gear Toolkit. The mechanics governing these edges are different from the Artificer's class abilities, but they are similar enough that the concept is the same. The character can make permanent magic items, permanent magic gadgets with their own pool of power points, and temporary magic items that burn out after use or a certain duration. I'll post more about my Eberron conversions some other time. I've since been playing in an online space pulp game and running a Conan-like Greyhawk game set in Stonehold, and both have been extremely fun and easy to play. If you haven't tried Savage Worlds, I highly recommend it. It's a great alternative to D&D and the rules really do a good job of letting the player roleplay their characters freely. We have been playing Savage Worlds for a year now, and my story is very similar to yours. If you want to check out what our group of 30+ year old gamers are doing, check out our website. I'm looking forward to your posts on converting Eberron to SWEX. I'll post races and Edges later today. Dragonmarks (and a handful of new powers) will come later. I still need to specify trappings per mark and I might adopt concepts from the 4e approach rather than attempt to mimic v3.5 dragonmarks. Following dragonmarks will be vehicles, but I'm having a really hard time with that one. If Privateer Press would just do Iron Kingdoms as a Savage setting I would be a very, very happy camper. Savage Eberron Races and Edges are up!